One of the best things about installing an accessible bathroom in the home is that it can be perfectly tailored to the needs of the user. 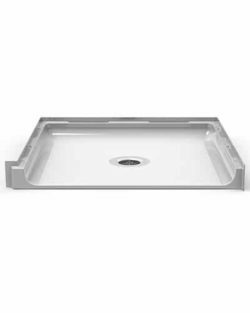 This means safe bathing accessories can be placed in the most convenient locations, everything can be fitted at the exact right height, and the overall design and appearance of the bathroom can be decided by the homeowner. If it’s your first time planning an accessible bathroom—whether for yourself or someone else—you may be surprised by the sheer choice of fixtures and fittings, and the beautiful designer touches we offer. 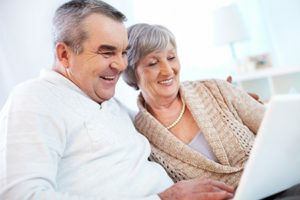 An ageing population, and more people choosing to remain independent and living in their own home for longer, means there are more bathroom accessibility products on the market than ever. The variety of options may seem overwhelming, so we’ve put together this short guide to help you focus on the most important factors to take into consideration when planning your accessible bathroom. A staple of any handicap accessible bathroom, carefully-positioned grab bars can help prevent countless accidents. 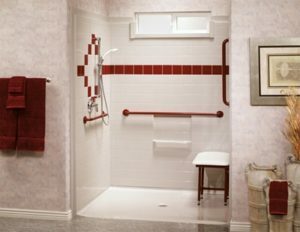 Thousands of people end up in the ER each year as a result of slipping or falling in the bathroom, and grab bars are a simple and affordable way to minimize the risk of accidents. Grab bars are available in various sizes and in different finishes—choose a design that complements your bathroom design if you want to avoid an institutional feel. Grab bars are commonly located in or alongside showers and tubs, and near toilets and wash basins for extra support. You might love the look of real tiles, but no-one enjoys cleaning grouting and it’s quick to show signs of ageing and usually one of the first things in a bathroom that needs replacing! 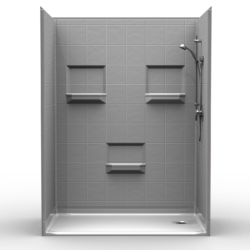 Our handicap bathtubs and showers are designed to be easy to clean, yet are stylish, attractive and durable. A low-maintenance accessible bathroom will ultimately be more hygienic and more enjoyable to use. Think about ways to make your bathroom as functional and easy to use as possible. Something as simple as using lever-style handles instead of smooth, hard-to-grip knobs might make all the difference. Equally, ergonomically designed faucets chosen with the user’s unique needs in mind will ensure safety and comfort. Avoid any fixtures that are likely to be awkward to use or difficult to grip, especially when wet. We offer a variety of low threshold shower pan options for accessible bathrooms. 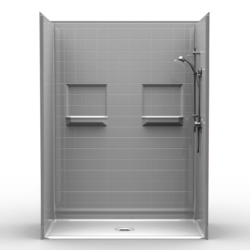 Used in conjunction with one or two handicap shower grab bars, a low threshold shower can make safe bathing simpler than ever. We also work with many clients who require solutions for wheelchair accessible bathrooms, and offer a number of barrier-free bathing options. Whatever your accessible bathroom needs—and whether this is your first time designing an accessible bathroom or you’re an old hand—our friendly, knowledgeable team are always happy to answer your questions or provide expert advice. 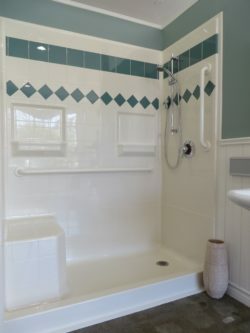 Why choose our handicap showers?